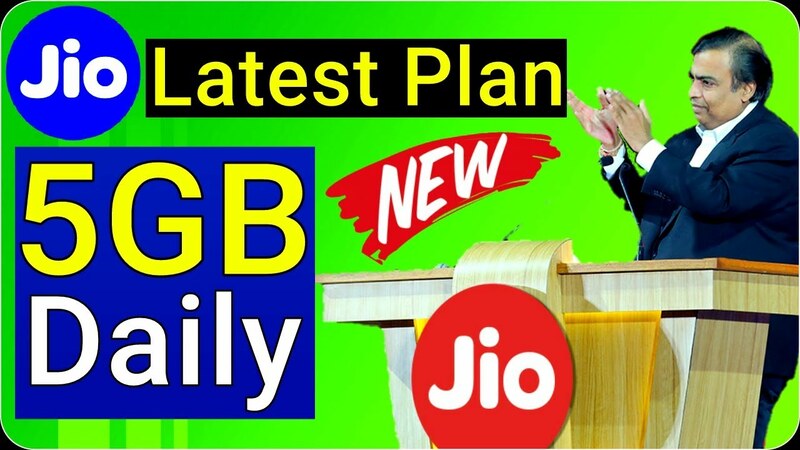 Again JIO's new plan, 3GB@509 & 5GB @ 799 data every day According to his futures, Reliance Jio has made its new tariff plans live. Geo customers will now get the benefit of these plans. Geo announced his 8 new plans a few days ago. During this period, the plan was not provided for Rs 509 and Rs 799. Geo plans now range from 19 rupees to 9,999 rupees. 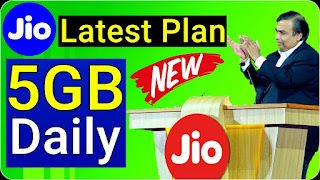 Talking about Reliance Jio's famous 509-rupee plan, it is giving 3GB of data every day. The total of which is 84GB data. However, its validity has been reduced from 49 days to 28 days. If this is the case with 799 rupees, then Geo is now giving 5GB of data every day. When it was given 3GB of data every day. Its validity is also 28 days. Besides this, the company has plans of Rs 19, Rs 52 and Rs 98 for Jiah's small recharge. The validity of the plan for 19 rupees is 1 day and 0.15 GB of data will be provided, 52 plan will be valid for 7 days. In which 1.05 GB of data will be provided and the value of 98 rupees will be valid for 14 days, of which 2.1GB data will be provided. These plans offer unlimited calls, subscriptions for Gio Apps and SMS benefits. The first geo had a plan of Rs 199 for Rs 399, Rs 459. Now the price of this plan has been reduced to Rs 50. But the advantage is the same as before. Now, the 149-rupee plan is getting 1GB of data per day for 28 days. Currently, Indian telecom history can be called the cheapest plan. Now, talking about plans for other plans ie Rs 349, Rs 399 and Rs 449, all of them are given 1GB of data every day. However, its validity is different. The validity of the plan for 349 rupees is valid for 70 days, 399 rupees with a plan of 84 days and 449 rupees with a validity of 91 days.